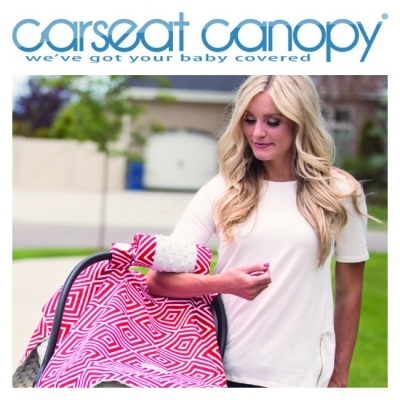 With high-quality products and prints, the Carseat Canopy™ is the perfect addition to baby's must-have list! Wind, rain, colds, flu, snow, these all make babies cranky, which makes mommies cranky. We at Carseat Canopy™ have embraced the mandate to make babies happy, and of course mommies too, with high quality car seat accessories. The exterior fabric is 100% cotton, making it sturdy and breathable. The interior is silky-smooth, 100% polyester, minky. Connect with them at Facebook and Twitter!